XFX PSUs are a huge step out of the box from conventional PSU design and engineering. From it’s beautiful multi-faceted duo-tone construction to it’s technological advantages such as EasyRail™ and SolidLink™ Technologies, XFX PSUs continue to outperform and just simply out style the competition in every conceivable way. 80 Plus Silver certified means that this XFX PSU has up to 88% power efficiency at typical load. With XFX PSUs, you get nearly every watt you pay for. 80 Plus (trademarked 80 Plus) is voluntary certification program intended to promote efficient energy use in computer power supply units (PSUs). 80 Plus Gold certified means that this XFX PSU has up to 90% power efficiency at typical load. With XFX PSUs, you get nearly every watt you pay for. 80 Plus (trademarked 80 Plus) is voluntary certification program intended to promote efficient energy use in computer power supply units (PSUs). 80 Plus Platinum certified means that this XFX PSU has up to 92% power efficiency at typical load. With XFX PSUs, you get nearly every watt you pay for. 80 Plus (trademarked 80 Plus) is voluntary certification program intended to promote efficient energy use in computer power supply units (PSUs). 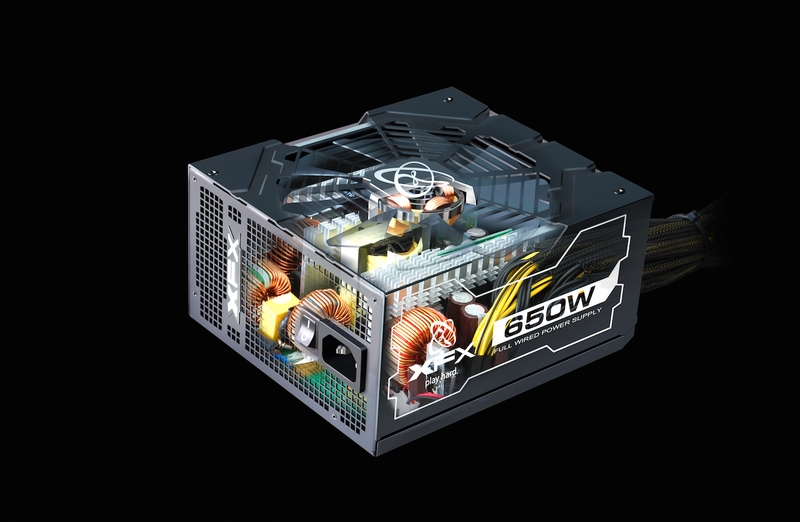 80 Plus Bronze certified means that this XFX PSU has up to 88% power efficiency at typical load. With XFX PSUs, you get nearly every watt you pay for. 80 Plus (trademarked 80 Plus) is voluntary certification program intended to promote efficient energy use in computer power supply units (PSUs). 80 Plus Bronze certified means that this XFX PSU has up to 92% power efficiency at typical load. With XFX PSUs, you get nearly every watt you pay for. 80 Plus (trademarked 80 Plus) is voluntary certification program intended to promote efficient energy use in computer power supply units (PSUs).